Royal baby kids’ bikes are ideally made with kids in mind to ensure that every kid’s requirement is available in the bicycle. Enclosed chain guard, multi reflectors, and child-oriented brake lever that have a short distance ideal for kids are but examples of how the manufacturer put small children’s safety first, making Royalbaby BMX freestyle kids bike the best. The bike comes assembled 95% and all the tools required during assembly are included in the package. 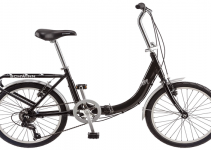 The assembly is not as hard as the bike comes with a user manual and so you can easily assemble it, and your young rider can hit the road within no time. So, let the adventure begin! 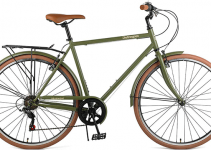 1 Why should I buy a bike? 2.7 Question-Do I have to assemble the bike? 2.8 Question-Is the bike expensive? 2.9 Question- Is the seat comfortable enough for the kid? 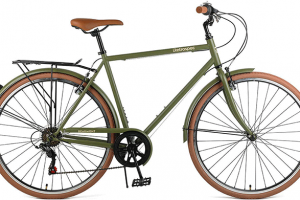 Why should I buy a bike? Just like we used to, most kids also start with small bikes or tricycles when they are learning how to ride. 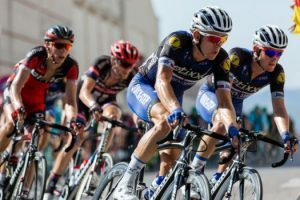 Eventually, the time comes for them to get a real bike, and that can be complicated, considering the number and models of bikes available in the market today. When it comes to kids’ bikes, emphasis needs to be on ease of riding, looks, and the extra features since kids love attractive features. While there are limitless kid bikes out there, there is limited quality since most bike manufacturers rely on gimmicks and look at the expense of balance and ease of use. With the Royal baby BMX bike, it achieves the balance that every rider wants. 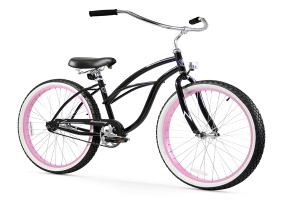 The bike offers an excellent look that attracts every kid, and in addition to that, it comes with cool features to complement its quality construct. The result is a more magnificent kid’s bike whose quality suits training wheels, and once your child gets the trick, it can remain as a two-wheel bike. The royal baby is popular with kids, and it is not hard to understand why. This bike offers a smooth and reliable ride and comes with a collection of features from everything that your kid might need, from training to things like handlebar bells to water bottles. This bike comes with an array of various sizes and colors, which means that you will not find it hard to get the perfect match for your child. The bike also comes with various components that you can use to train your child how to ride if they are not so perfect when it comes to riding. 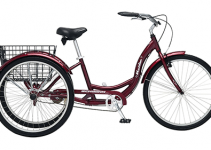 The bike comes with a sturdy frame that offers a great deal of support as well as stability while at the same time giving enough support. The training wheels included in the bike are easy to assemble and gives your child a wider stance that helps them ride secure and upright, even when turning sharply or leaning. Breaks are significant when it comes to bikes since you wouldn’t want your child to experience an accident when the brakes fail. This bike comes with very responsive hand brakes that call for just a little pressure to engage the pads, giving your child an ability to halt safely when the need arises. The combination of a rear coaster brake and a front caliper offers alternative options for your child to learn how to stop. The seat of the bike comes with a contoured shape which makes it more comfortable when compared to standard seats. 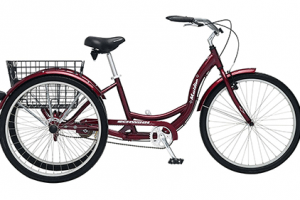 The bike’s drive train uses a good gear ratio that makes riding much more comfortable even when taking extended rides. The plastic shield protects the bike chain from your child’s leg in case he or she falls when riding. The bike has extra features which include a water bottle mounted at the back to make sure your kid has access to water when riding, and a bell that is mounted on the handle-bar to help a child announce his presence. The bike also has numerous reflectors that are crucial for any night riding with the entire family. The bike also comes with training wheels and a quick release seat-post that makes it possible to adjust the seat’s post. This bike aims to make riding easy, fun, and comfortable for your kid and it is an instant success on all angles. While the features, as well as the looks, are great for every kid to have, the bike’s core is very sturdy and easy to maneuver. Remember your very first bike ride? We all do. That feeling of freedom and thrill makes a big difference. With this bike, you will ride in style. The bike was designed with style in mind, and the style is what sets it apart. Custom Royalbaby tire thread, stars on the grip, and functional and outstanding training wheels, all these make this bike a cool one. Also, you should not forget the vibrant colors that will please any child. Royal baby keeps your kid’s safety in mind. The bikes training wheels dampen noise and improve a child’s hearing ability. The bike’s fully enclosed chain guard keeps a child fingers safe, and the flanged grip helps in protecting kids’ soft hands from sliding from the bars. No tricycles or adult bike. Just kids bikes and this focus helps in pushing their innovation on kids bikes design which leads to top class products for our children. 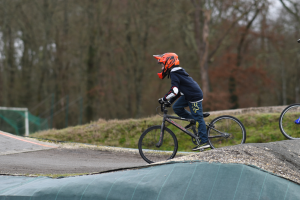 Unlike BMX bikes for adults and older kids, Royal baby BMX bike is not made for aggressive freestyle rides or jumps and other obstacles. Instead, they offer a seamless and smooth ride for kids who are still new when it comes to riding. The materials, as well as the components used on the bikes, are impressive. Its frame is strong and balanced, and it is not that heavy. The bike is not heavy that your kid can even lift the bike and carry it to the car and back to the bike’s wheels when he needs to ride. The bike’s tires are thick and come with the right amount of tread to make it easy to ride on grass, pavement, and flat surfaces with ease. The brakes work correctly, and the seat is comfortable enough. The training wheels make it easy for a child to get on and off the bike with the added width helping in maintaining the bike’s upright posture when your kid suddenly decides to negotiate a sharp corner. In short, everything is just perfect! All the above pros make riding amusing making your kid more interested in biking even more. Besides, that’s your goal. Just like any other product in the market, the Royal baby BMX kids’ bike is not perfect and comes with some cons. some reviewers said that the pedal is not so right and sometimes it cracks. Fortunately, you can easily replace the pedals with any standard size pedals. Some kids may not like the stickers, but you can always remove them if your kid is self-conscious on such decors. While this bike has some cons, the pros outweigh the cons, and this means that your kid can enjoy riding on the bike and become a guru on the road. Question- Do I need all the safety gears when buying this bike for my son? Answer- Well, if your son is using training wheels, a quality helmet is necessary. Also, you need to get him pads as well. Even after your son learns the trick, it is always safe for him to have safety gears on for protection against possible falls. Question-Do I have to assemble the bike? Answer-This bike arrives partially assembled, and so you need to do the assembly on your own. But you should not worry about that since the bike comes with a manual to help you during the process. However, if you hate the process, you can pay an extra fee for Amazon to assemble the bike for you. Answer- Well, the bike is not so expensive, but it is pricier when compared to other inferior and cheaper kids bikes. The bike is worth your money! Question- Is the seat comfortable enough for the kid? Answer- The bike’s seat is very comfortable. It is padded with contoured shape making it very comfortable for your kid the seat is also adjustable which means you can fix it to match your kid’s height. With Royalbaby BMX kid bikes, you will not only get a bike that will captivate your kid for years, but you will also get a bike with quality components for a high level of performance that your kid will appreciate. If looking for the best kid bike for your child, look no further for Royal baby is here for you. Let your kid get out and get moving as biking is the best way to explore the surrounding and stay happy and fit!